Typical divorce procedures require that a divorcing couple disclose their assets and liabilities. 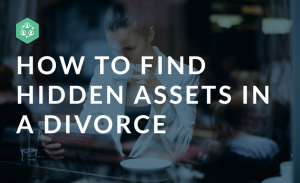 These disclosures serve as the starting point in any financial investigation seeking assets that have been excluded from the marital estate (i.e., hidden assets). The information revealed in these disclosures ranges from the simplistic (e.g., if an asset is listed, it isn’t being hidden) to the basis for more sophisticated analyses and comparisons. The tax returns of an individual or a couple may be imperfect representations of the actual economic income of the person(s) filing the return. However, a tax return showing significant income increases the odds that a claim of hidden assets might be valid. A tax return showing little, or no, income should prompt the question, “If assets are being hidden, where did they come from?” Tax returns also provide authoritative documentation concerning sources of income. For example, interest income is reported from the payer of the amounts to the Internal Revenue Service. This usually means that the taxpayer will report the amounts on his or her tax return. If there is interest income on the tax return and no asset disclosed that would generate interest income, the basis for an inquiry arises. The couple’s bank account usually serves as the financial framework of the marriage. The monthly bank statements serve as evidence of what went into the account and what was paid out. Bank statements are useful for their summary information in that they quickly show all income and all expenses which can be used to illustrate missing income, or to illustrate the relationship between the income the couple was generating versus what they were spending. They are also useful in identifying inter-account transfers and automatic payments, and may describe other unusual transactions. However, while bank statements record deposits and checks written, they do not usually provide the detail necessary to analyze specific transactions. Therefore, obtaining the check registers of the couple is necessary. “Check register” is an accounting term that refers to the couple’s checkbook and the manner in which the deposits and expenditures related to their account were recorded. Check registers generally come in three forms. The first is totally manual. That is, every deposit and every expenditure is recorded by hand in a register provided at the back of the check book. The second is a duplicate system. That is, when a person writes a check a copy of it is produced. The copy has a place to keep a running balance and to record deposits. The third is electronic. As information technology becomes the norm, more and more individuals will move toward paperless transactions. For example, automatic withdrawals from checking accounts to make loan payments are paperless transactions. Regardless of how they are recorded – with or without paper – all transactions give rise to evidence which can be pursued in discovering hidden assets. Sometimes it is possible to obtain the actual canceled checks related to an account under investigation. This situation may arise in highly contentious divorces or when an investigation evolves from a divorce investigation into a criminal investigation. However, banks and other financial institutions have stopped, to a considerable degree, returning canceled checks to customers. This is a cost reduction move by the institutions. While it is still possible to obtain the canceled checks, the banks usually charge a considerable fee for their retrieval. 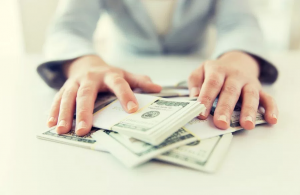 Accordingly, you and your divorce lawyer or investigator should weigh carefully the evidentiary value of the actual check in relation to its cost.